An adaptation of the play by Samuel Beckett, Jordan’s ‘Not I’ was originally made for display on a single screen via video and cinema. Starring actress Julianne Moore, it had its world premiere at the Cannes Film Festival in 2000. 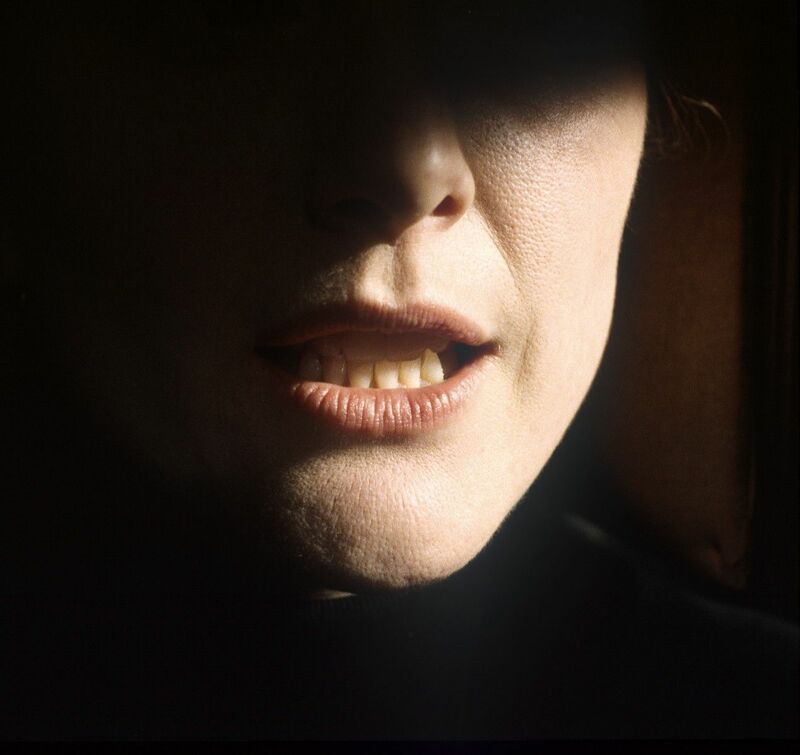 It formed part of the ‘Beckett On Film Project’, sponsored by Dublin’s Gate Theatre, where nineteen contemporary artists and film-makers were commissioned to interpret Beckett’s dramatic work on film. The work in IMMA’s collection is a six-monitor installation, which grew from the unusual process of shooting the film – the single event of the performance was recorded simultaneously from a number of different angles with multiple cameras – leading to the possibility of presenting the piece from six different angles through the established artistic convention of installation. Evasion is the principle theme as highlighted by Samuel Beckett’s explicit note in his text in which the mouth’s chief endeavour throughout the play is its vehement refusal to relinquish the third person. The mouth undergoes a desperate struggle to avoid saying “I” marked by four moments of crisis in which the monologue becomes a rapid succession of questions and answers with an inner voice not heard by the audience. Jordon’s six-monitor installation is precisely synchronised to maintain the staccato rhythms of the performance.